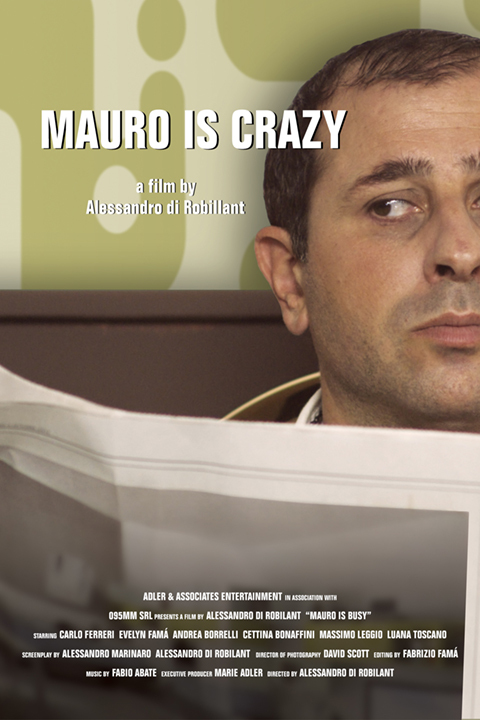 Mauro is Crazy – Adler & Associates Entertainment, Inc.
Mauro is 33 years old and has two graduate degrees, but lives with his parents and can’t find a job to save his life…or his sanity. As Mauro begins to inexplicably go off the deep end, he begins self-sabotaging his dates and his job interviews, terrorizing the family maid and making his mother and father wonder what they did to deserve a son like this. Will poor Mauro ever regain his sanity?